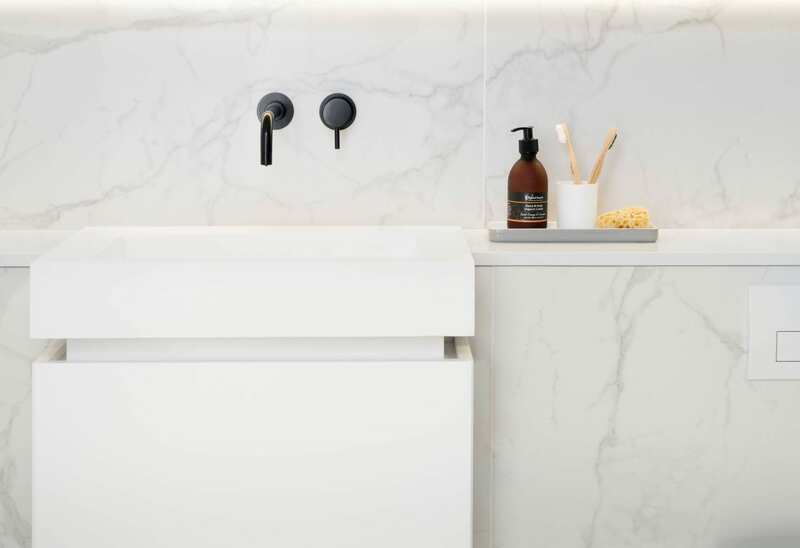 As part of an apartment refurbishment, we renovated this light-filled bathroom. Mirrored wall cabinets conceal and make the room appear more spacious. 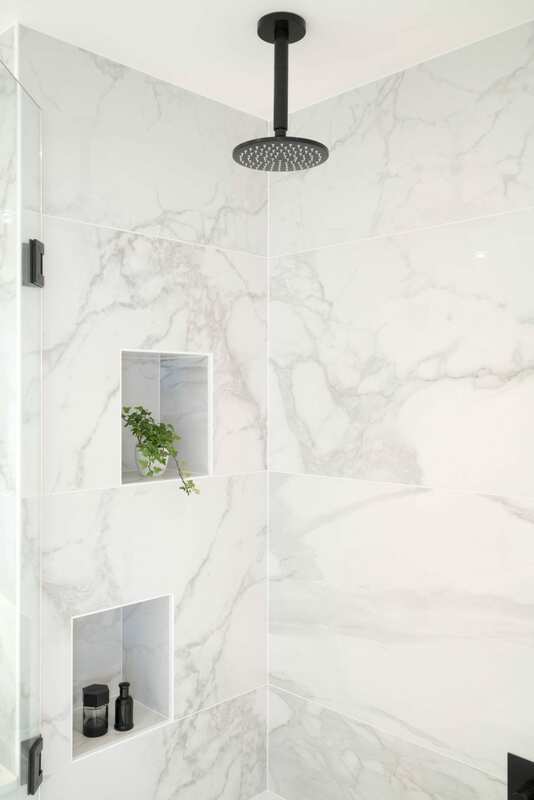 We used Calacatta porcelain tiles for the walls and floors, which add interest to the minimal design. 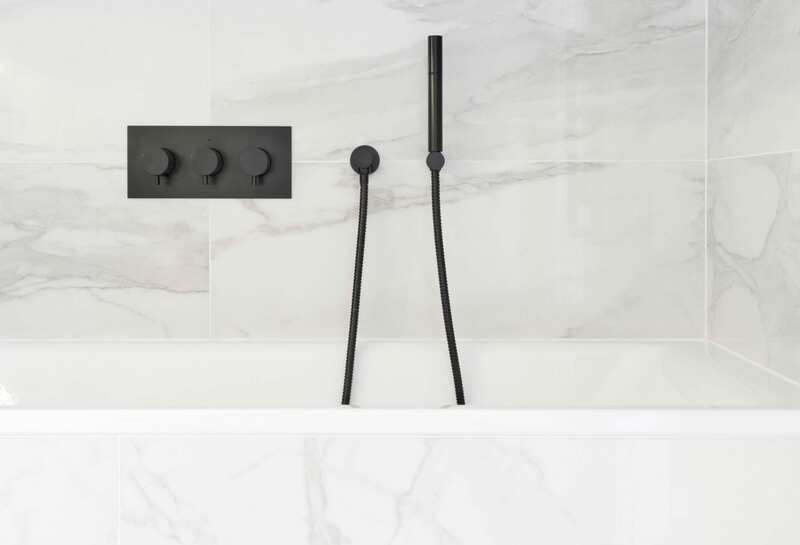 Black fittings provide a contrast to the bright space, whilst the composite stone vanity top and a custom-made basin unit add a modern touch.